Our private aviation utilizes the following private airports to fly clients to and from Minneapolis-St. Paul, Minnesota and neighboring areas. There are 6 main airports located within 20 miles of the Twin Cities, and each features private FBO services for passengers and pilots. Check out the information on each airport below, and call one of our brokers to review the options for your flight. Fly to Minneapolis–Saint Paul International, Wold–Chamberlain Field (IATA: MSP, ICAO: KMSP, FAA LID: MSP), a joint civil-military public use international airport located in Hennepin County, Minnesota, less than 10 miles away from both downtown Minneapolis and downtown Saint Paul. (KMSP) Minneapolis–Saint Paul International is the largest and busiest airport in the Upper Midwest region of the United States, consisting of Minnesota, Iowa, Nebraska, North Dakota, South Dakota, and Wisconsin. There are 4 concrete runways, each measuring at least 8,000 feet in length to accommodate large aircraft. 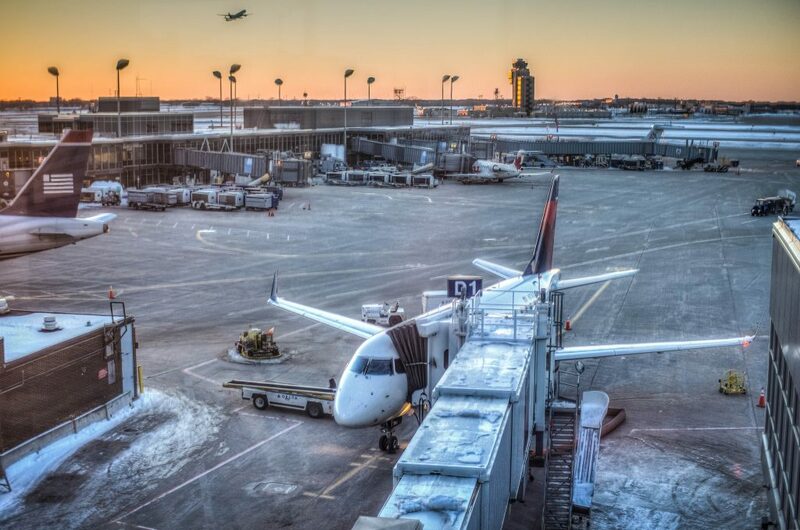 Facilities include the Lindbergh Terminal, named after the famous Minnesotan aviator, and the Hubert H. Humphrey Terminal, which is used mostly low cost airlines and seasonal carriers. InterContinental Hotels recently signed a deal to become the first full service on-site hotel at KMSP, offering guests 300 rooms across 12 floors when it opens in 2017-2018. 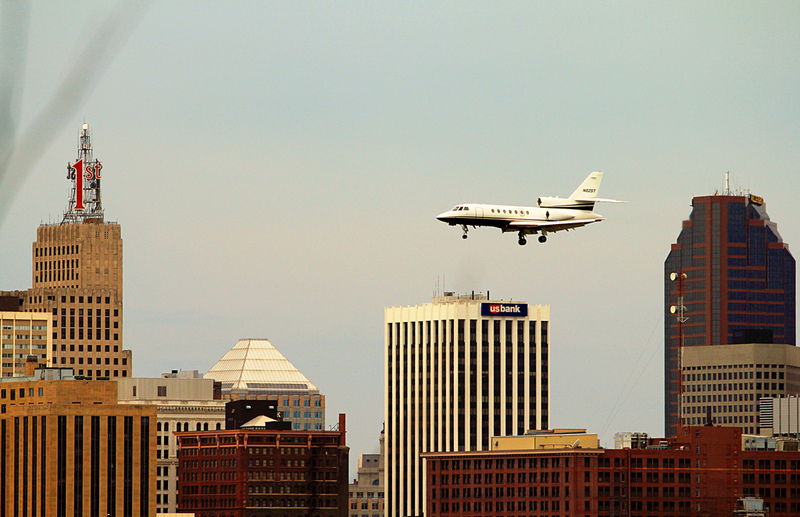 Arrive at St. Paul Downtown Airport (IATA: STP, ICAO: KSTP, FAA LID: STP), located just across the Mississippi River from downtown Saint Paul, and is one of several reliever airfields in the Twin Cities operated by the Metropolitan Airports Commission (MAC). Also known as Holman Field, it serves corporate flights from local businesses, a flight school, the aviation unit from the Minnesota Army National Guard, and the general aviation community in the Twin Cities area. Facilities at Holman Field include three runways, with its main runway measuring 6,491 feet in length. The terminal building was used as the backdrop for scenes in film adaptation of Kurt Vonnegut’s anti-war/sci-fi novel Slaughterhouse-Five. 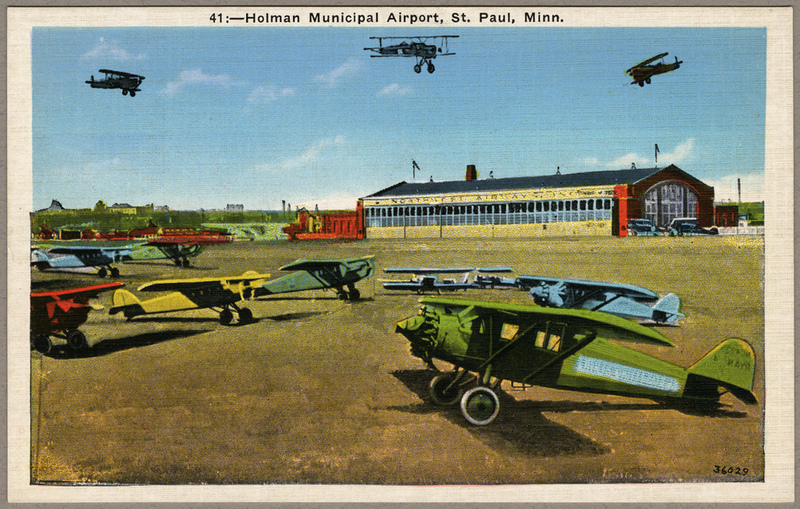 Holman Field was named for Charles W. “Speed” Holman (born in 1898), a famous stunt pilot – in 1928, Holman set a world record of 1,433 consecutive loops over a period of five hours above St. Paul Downtown (STP). Holman was also a renowned barnstormer, wing walker, parachutist, airmail pilot, aviation record holder and airline pilot, and the Holman Field Administration Building was added to the National Register of Historic Places in 1991. Located in the city of Crystal in Hennepin County, Minnesota, Crystal Airport (IATA: MIC, ICAO: KMIC, FAA LID: MIC) is a public airport located just 8 miles northwest of Minneapolis’ central business district. Crystal was originally built in 1946 as a privately owned public use airfield, and the Metropolitan Airports Commission purchased the property just 2 years later. Additional land purchases and expansions were made throughout the 1950’s. (MIC) Crystal Airport offers four runways in total, with a short turf runway and 3 asphalt runways measuring 2,500, 3,267 and 3,268 feet in length, making Crystal an excellent choice for landing your Minneapolis-bound piston or prop. FBO service is available as well. Also known as Janes Field, Anoka County–Blaine Airport (ICAO: KANE, FAA LID: ANE) is a public use airport in Anoka County, Minnesota owned by Metropolitan Airports Commission. It’s located in the city of Blaine, only 10 nautical miles north of the central business district of Minneapolis. (KANE) Anoka County–Blaine Airport is included in the National Plan of Integrated Airport Systems for 2015–2019, categorized as a general aviation reliever. There are two asphalt runways: Runway 9/27 measures 5,000 feet in length, while Runway 18/36 measures in at 4,855 feet. FBO service is available on site, and two aviation museums, the Golden Wings Flying Museum and the American Wings Air Museum, are also located at the (KANE) Anoka County–Blaine. South St. Paul Municipal Airport (ICAO: KSGS, FAA LID: SGS) is a city-owned public airport located two miles south of the South St. Paul central business district in Dakota County, Minnesota. It’s also known as Richard E. Fleming Field, or simply Fleming Field. South St. Paul Municipal features a 4,000 foot asphalt runway, and it’s location on the south side of the Twin Cities provides an additional arrival option for incoming flights to the Minneapolis–St. Paul Metropolitan Area. Another popular destination for flights to the Minneapolis area is Flying Cloud Airport (IATA: FCM, ICAO: KFCM, FAA LID: FCM), a public airport in the city of Eden Prairie. Flying Cloud is in Hennepin County, Minnesota, only 11 miles southwest of the central business district (CBD) of Minneapolis. Flying Cloud is a preferred arrival choice for executive and leisure flights in the Twin Cities area, and it was the primary hub for private aviation during the 2016 Ryder Cup in Chaska, Minnesota. (KFCM) Flying Cloud features 3 asphalt runways at varying lengths (18/36: 2,690 feet; 10L/28R: 3,898 feet; 10R/28L: 5,000 feet), allowing passengers to take advantage of its convenient location and outstanding amenities – four FBOs are located on-site. Have any questions regarding Minneapolis-area airports for your upcoming flight? Call us at 1-888-987-5387 to speak with one of our brokers and discuss all of the available options for your flight to the Twin Cities.